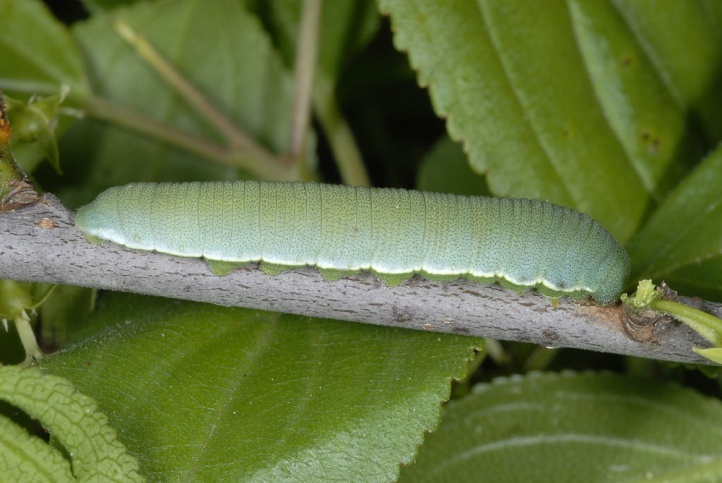 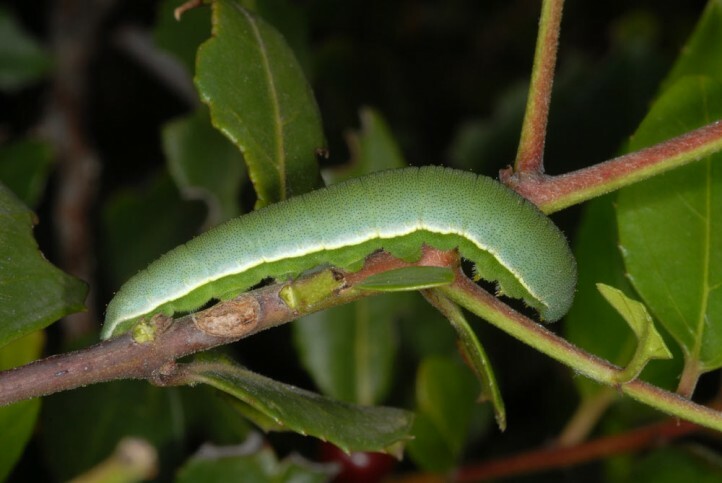 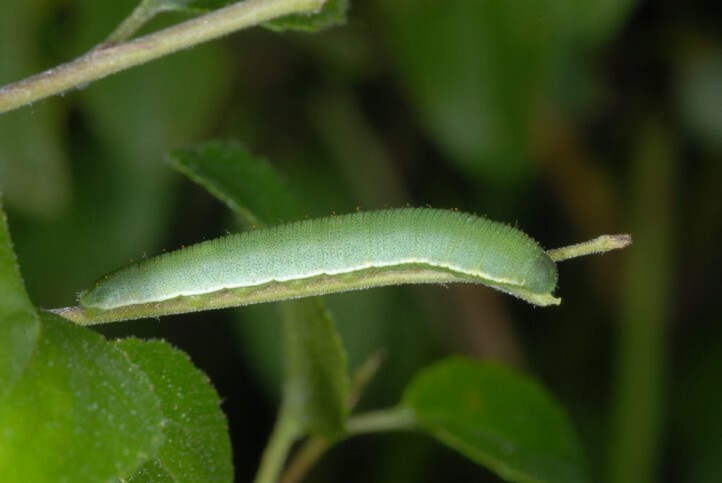 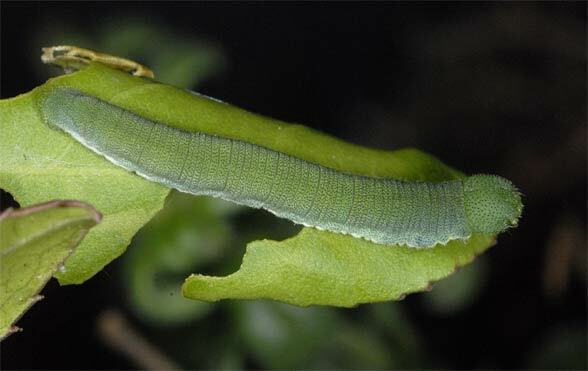 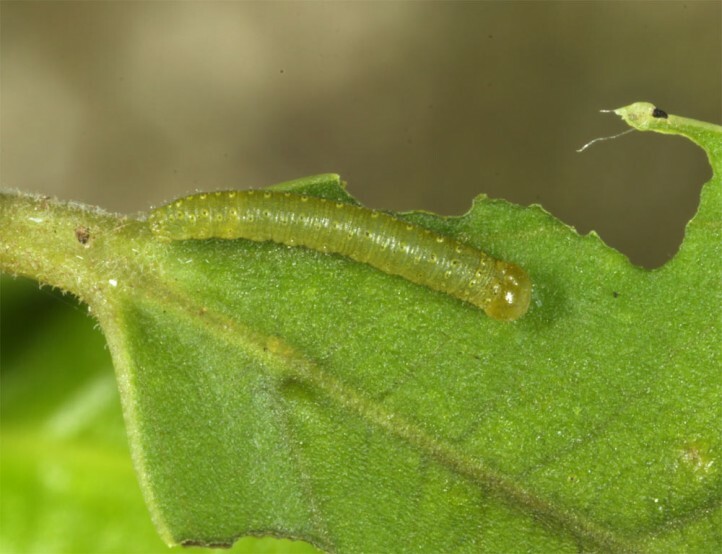 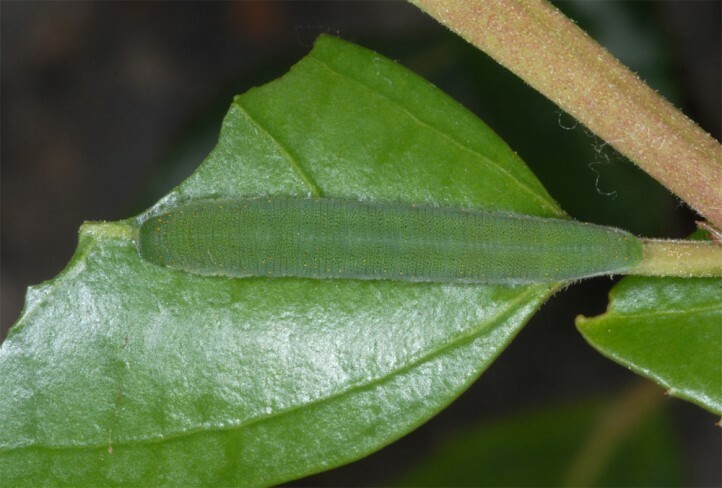 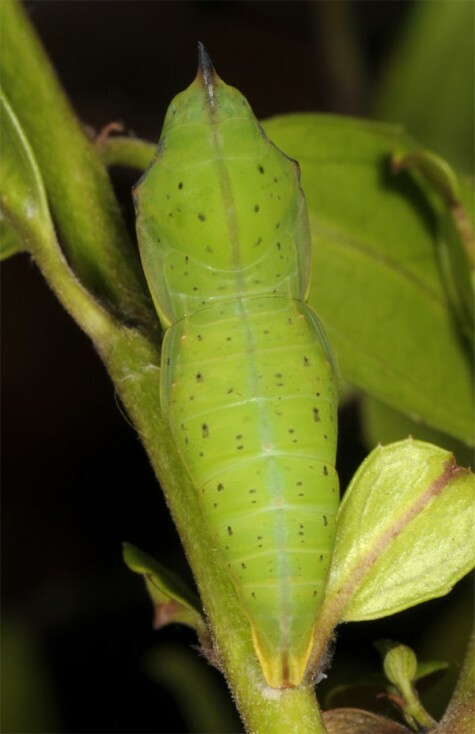 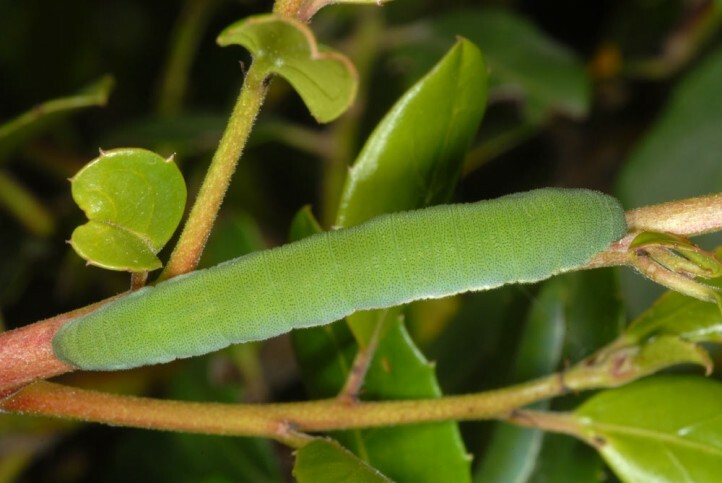 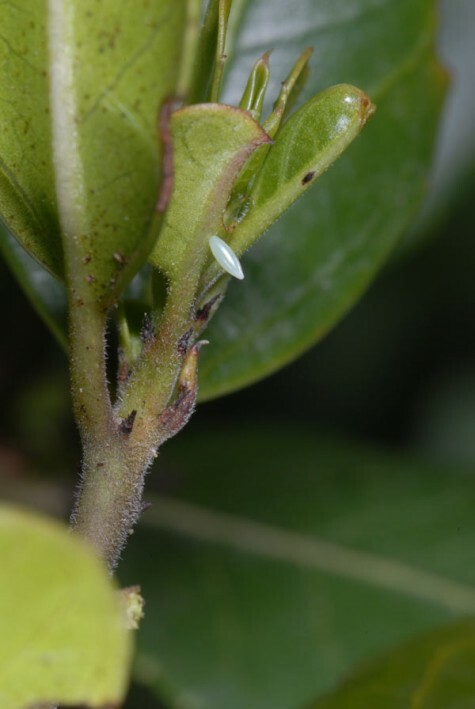 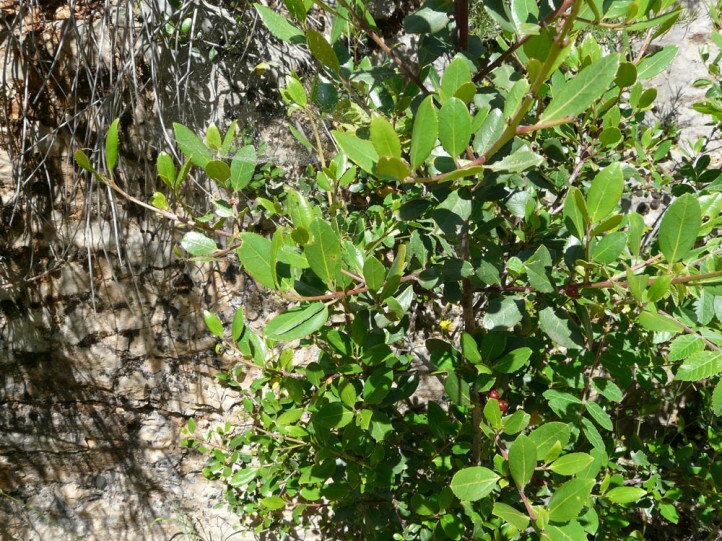 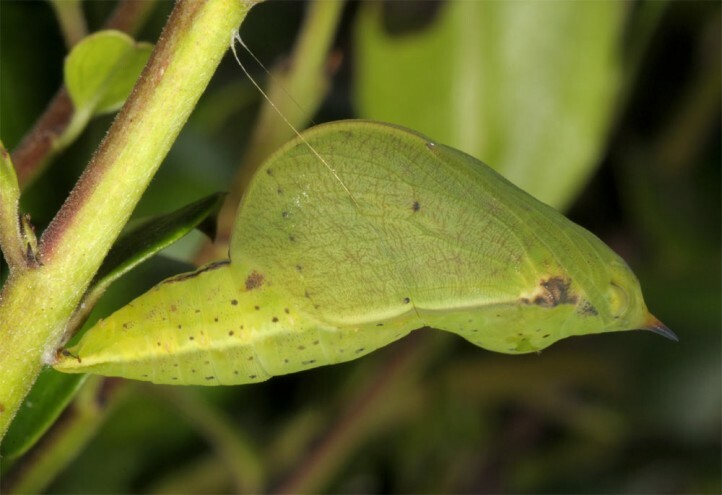 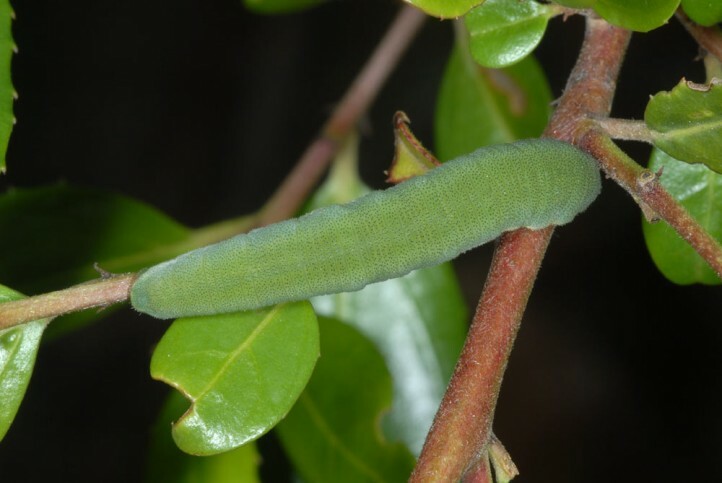 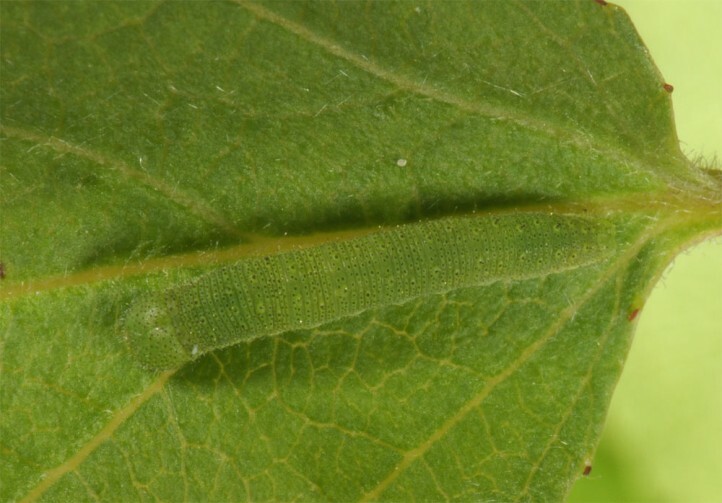 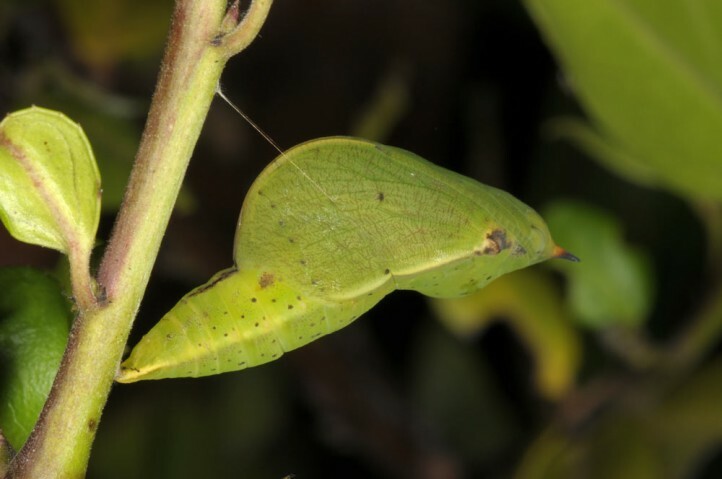 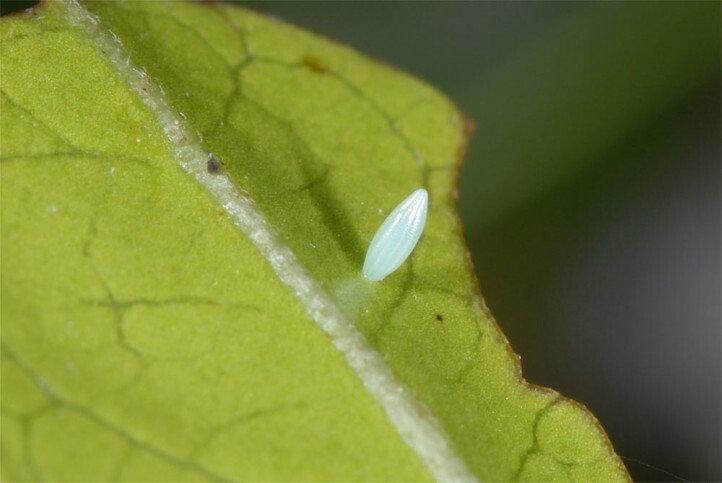 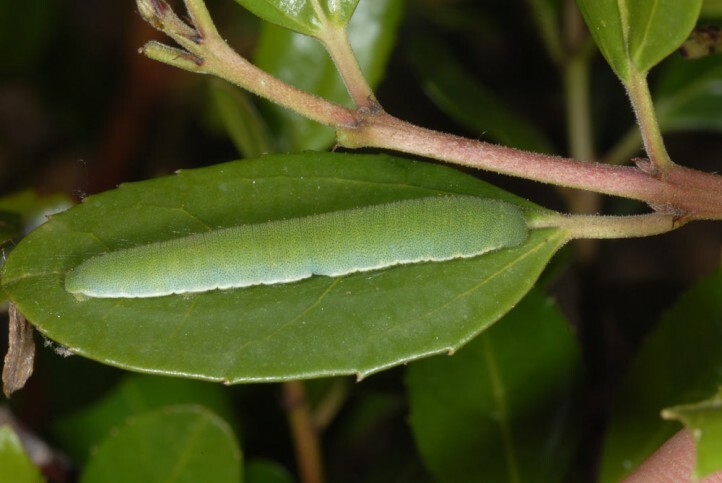 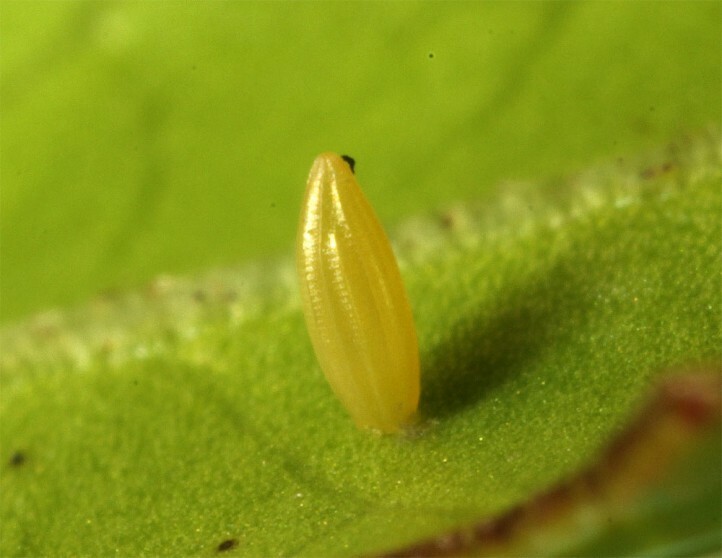 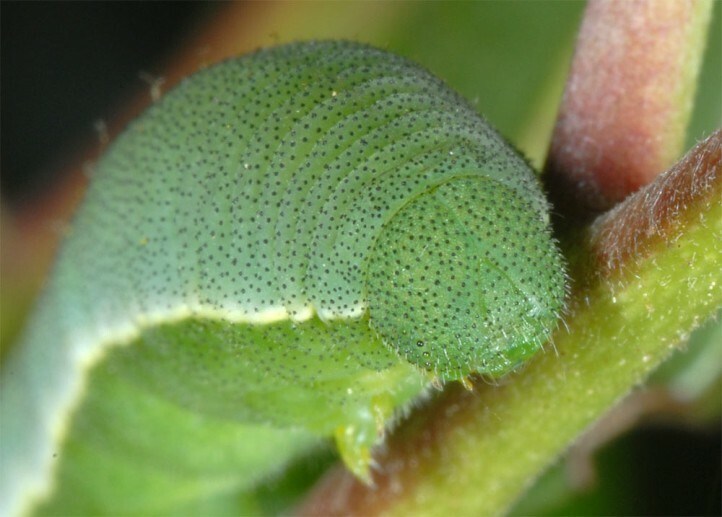 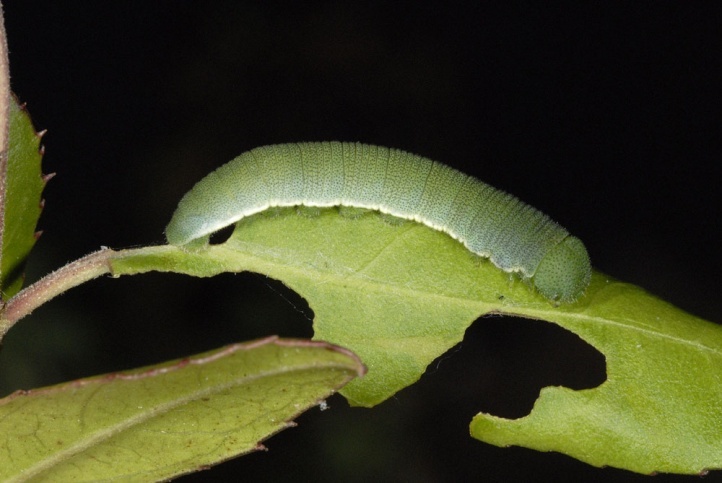 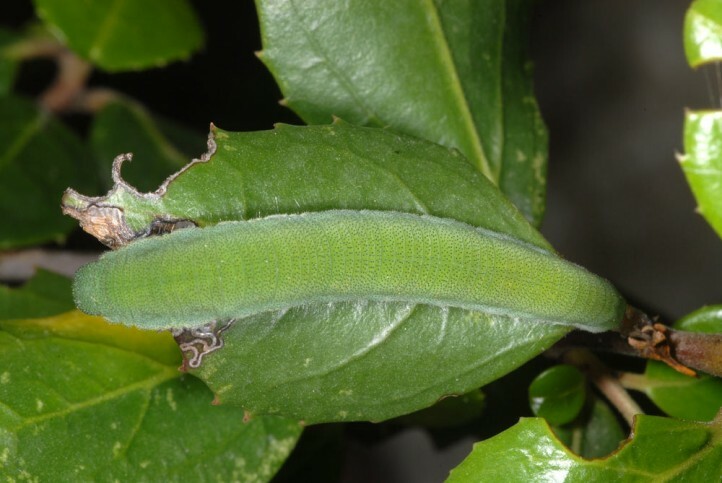 The larva feeds mainly on Rhamnus spp. 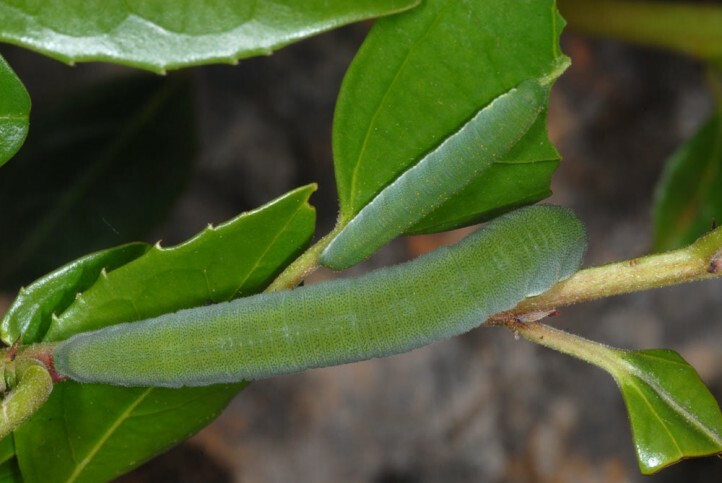 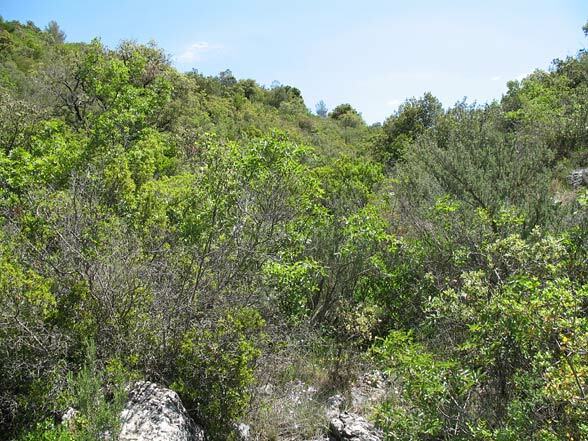 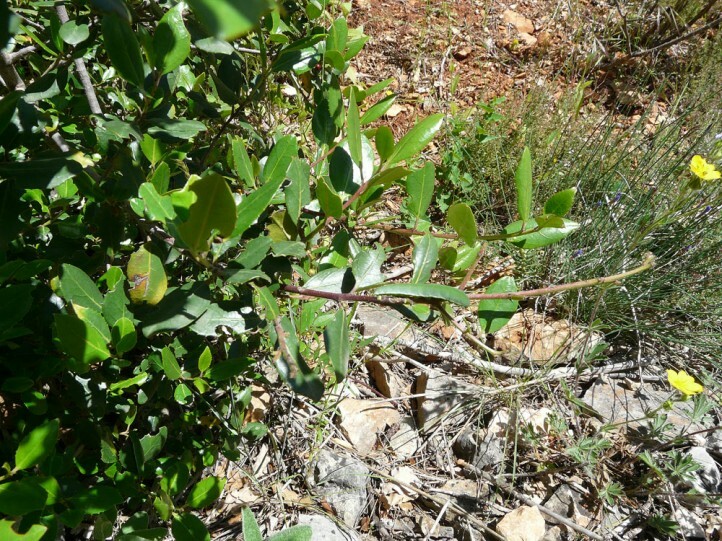 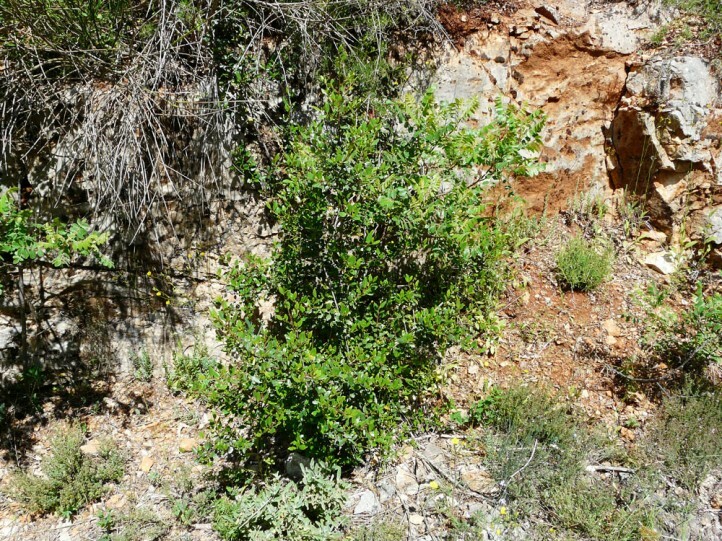 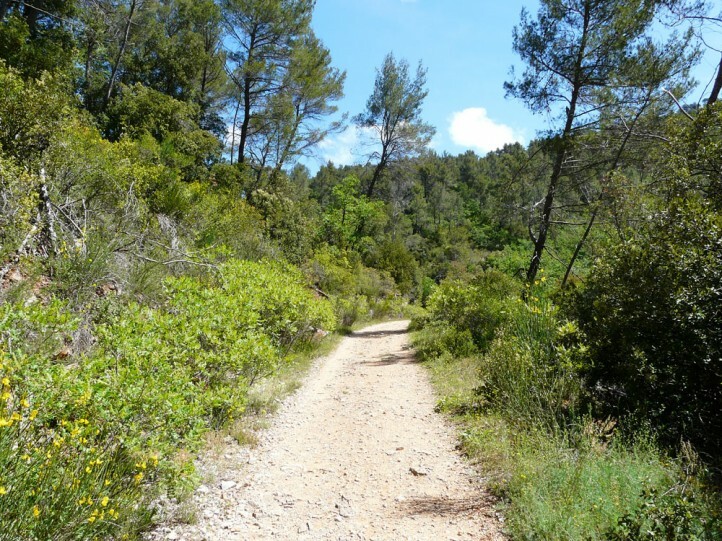 I found caterpillars at Rhamnus alaternus (Provence). 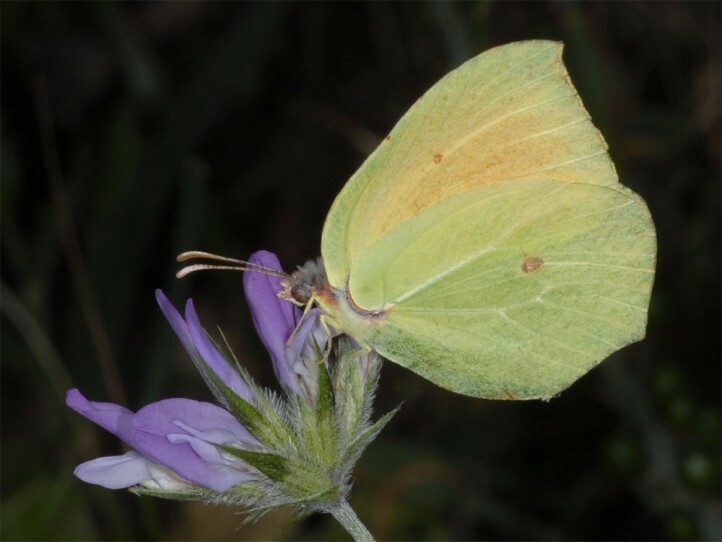 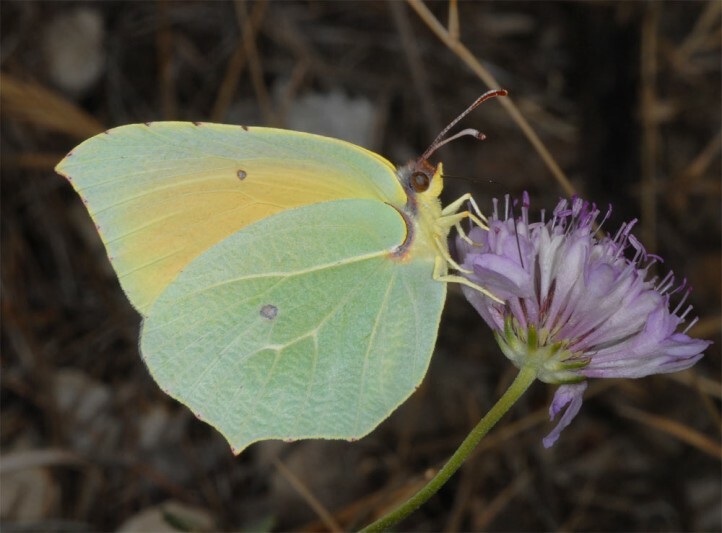 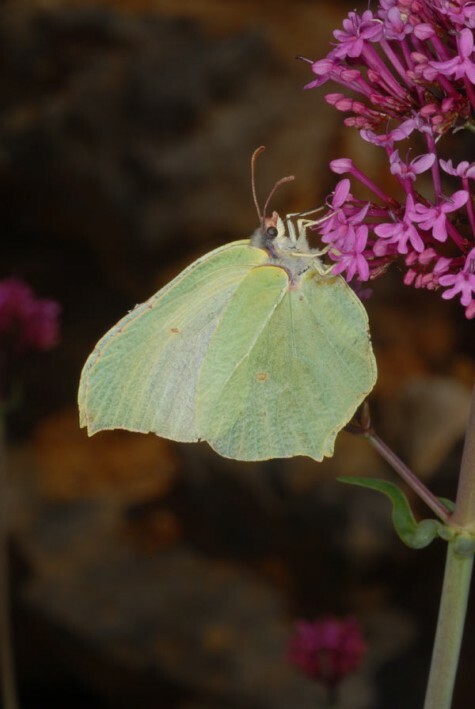 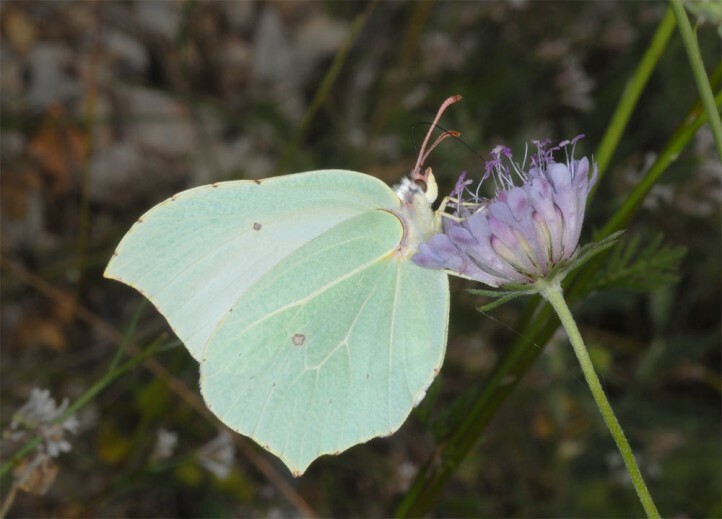 Gonepteryx cleopatra inhabits grove-rich sites from the Mediterranean maquis to the sparse and dry woods. 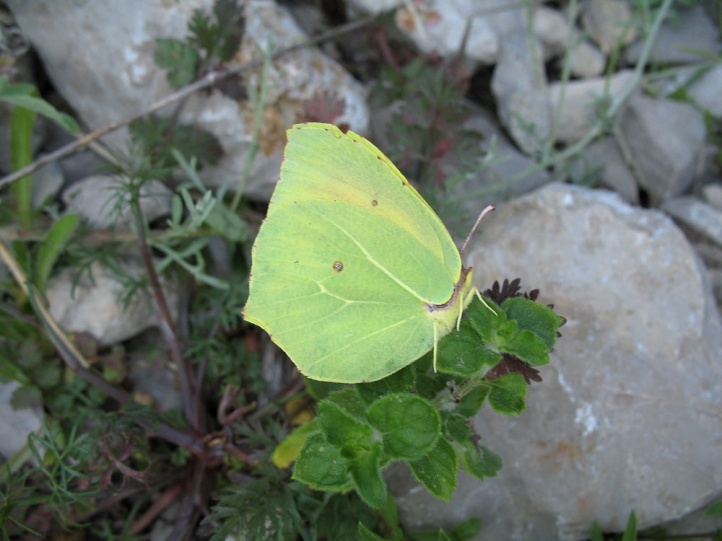 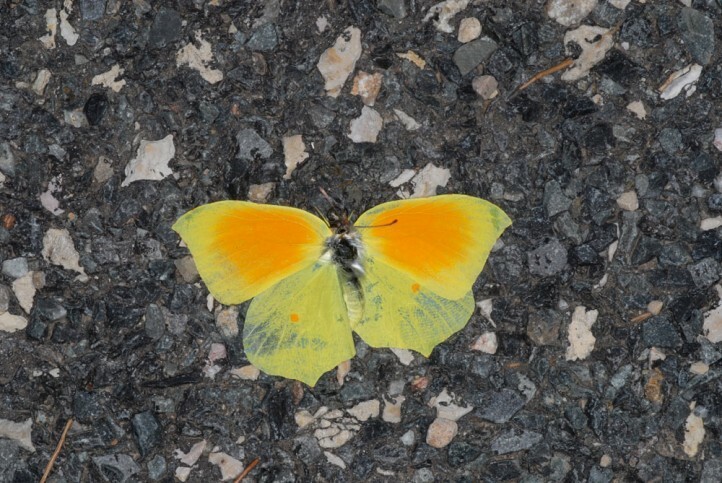 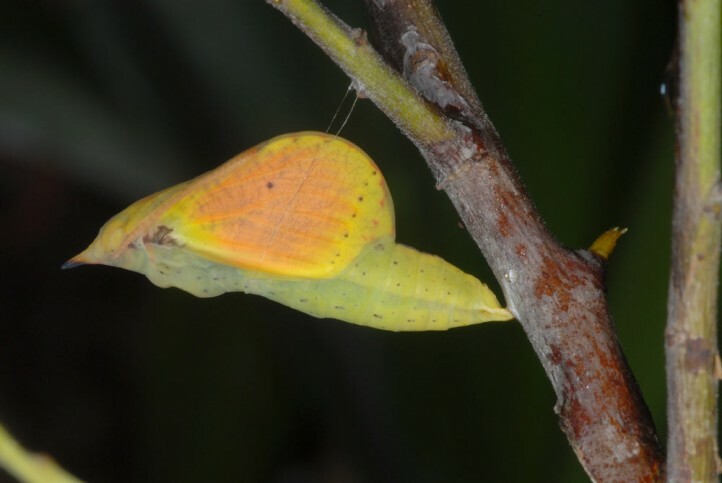 The hibernating butterflies fly from late June to next May/June. 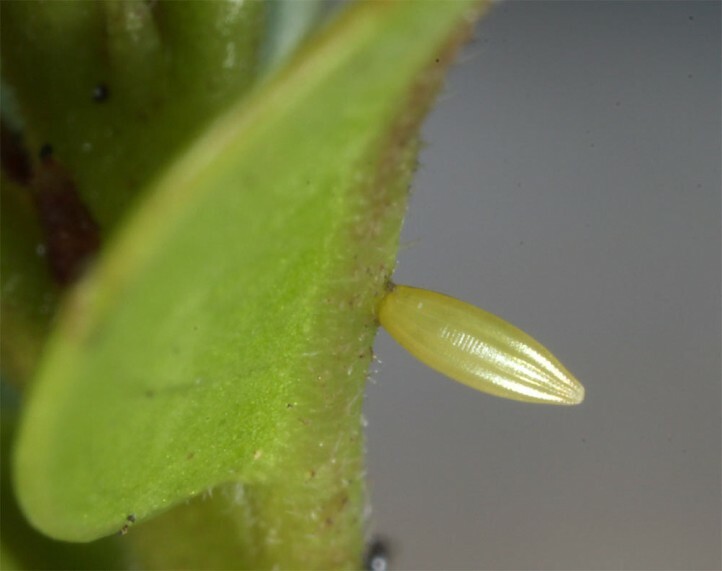 They live up to 10 months or even longer. 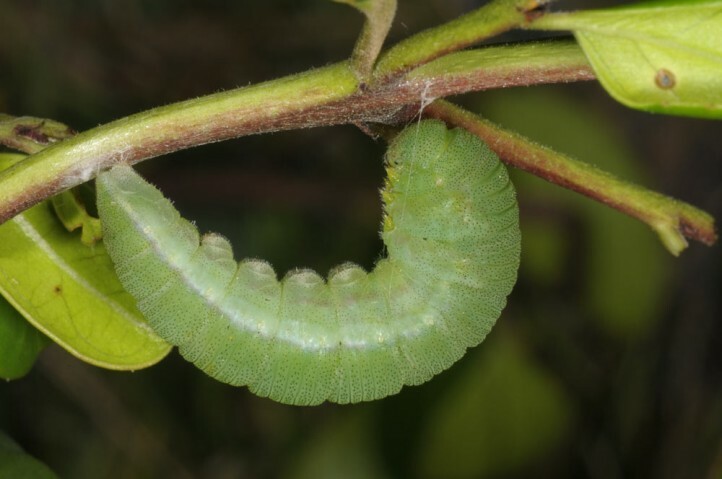 The caterpillars are observed mainly between April and June. 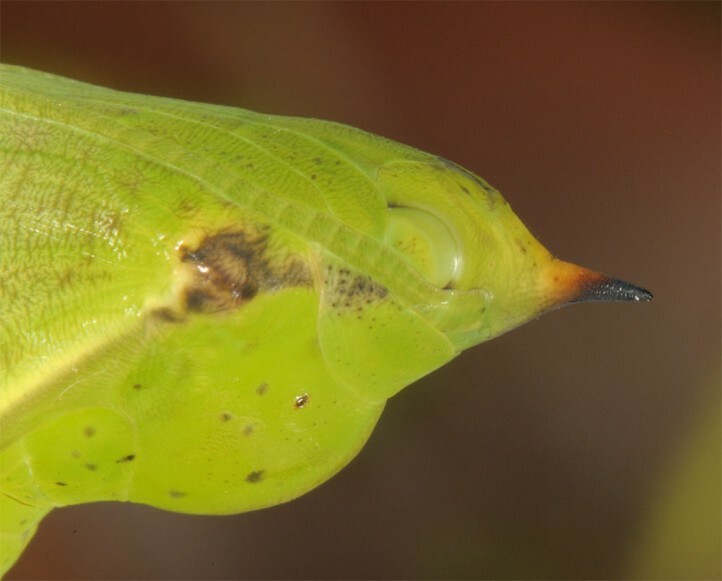 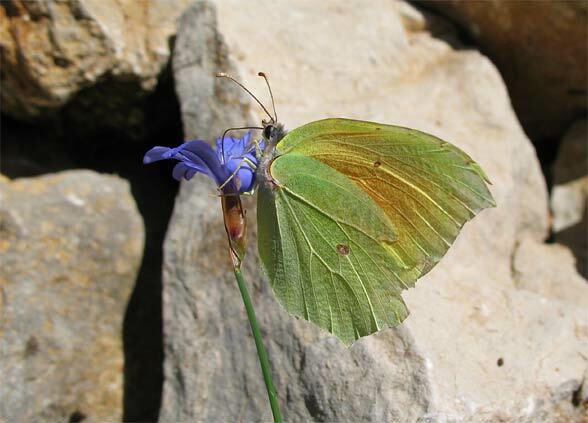 Gonepteryx cleopatra is distributed from Northwest Africa across the Mediterranean with most of the islands to the east (Asia Minor, Middle East).